We are fully certified professional Vancouver, British Columbia, Canada Court reporters serving Vancouver, BC. , Canada and area. 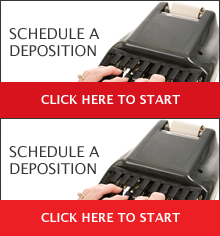 Foremost specialists in complex technical litigation: asbestos, aviation, marine, medical, patent, tobacco. Real-time reporting (Caseview, Live Note, Summation Blaze and Real Legal Binder), Live Deposition livestream real-time, Skype, e-transcripts, keyword indexing, compressed/condensed transcripts, video conferencing, video depositions, exhibits/documents scanning and photocopying, language interpreter services. Largest full-service boardroom facilities located in beautiful downtown Vancouver near Vancouver Courthouse.